This large gold wall mirror would make a stylish home decor choice for a bathroom, bedroom, living room or hallway. This has a full length design an can be used as a wall hanging mirror or as a leaner mirror. Ideal for those who love gold decor and glamorous interiors. The rectangle frame curves on the corners and comes in a slim, minimalist design that adds to the chic look. Hangs in portrait orientation for a full length style. This will make a fabulous dressing room mirror for the bedroom & will also suit a glam living room or hallway. 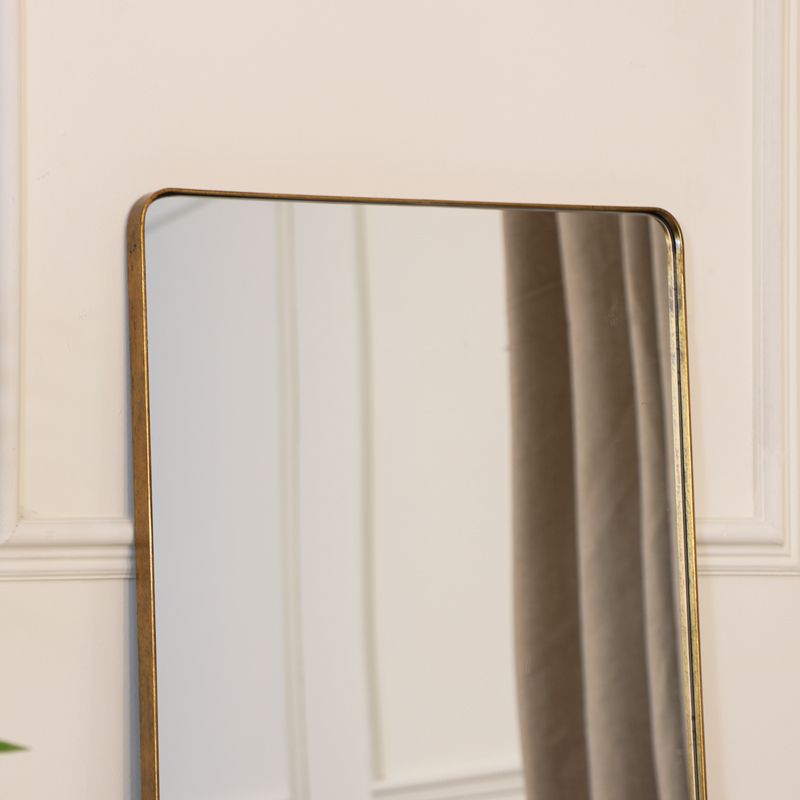 With many more mirrors to choose from so you can accessorise to suit your interior style. This large gold wall mirror would make a stylish home decor choice for a bathroom, bedroom, living room or hallway. This has a full length design an can be used as a wall hanging mirror or as a leaner mirror. Ideal for those who love gold decor and glamorous interiors. The rectangle frame curves on the corners and comes in a slim, minimalist design that adds to the chic look. Hangs in portrait orientation for a full length style. This will make a fabulous dressing room mirror for the bedroom & will also suit a glam living room or hallway. 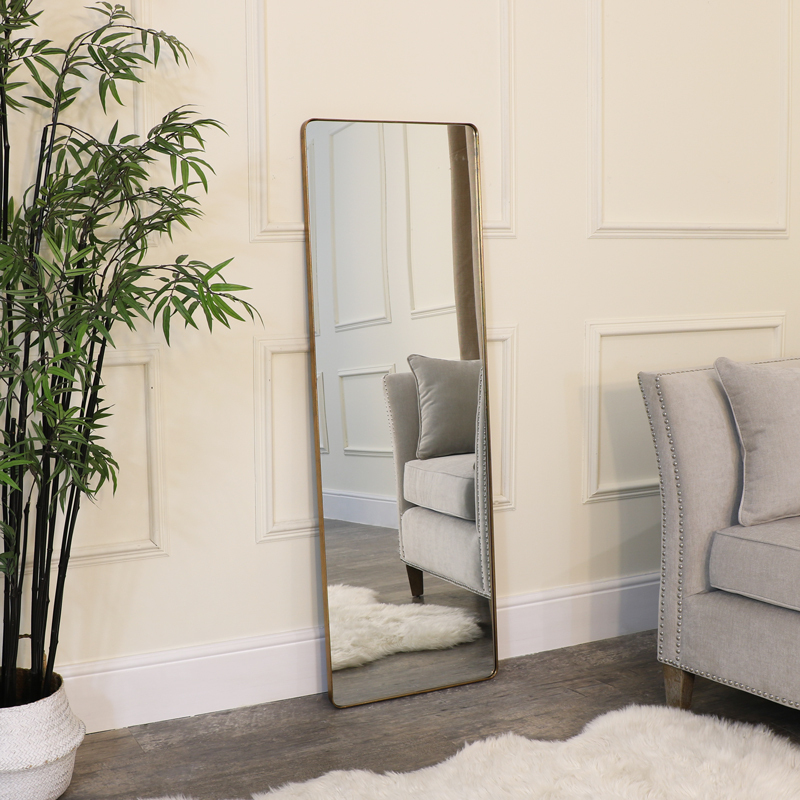 With many more mirrors to choose from so you can accessorise to suit your interior style.